This week, I'm in Big Sur shooting with Project Mermaids and I couldn't be more excited! Not only do I get to be transformed into a beautiful mermaid (every woman's dream) but I also get to be apart of such an amazing cause. "Project Mermaids was started in 2012 by celebrity fashion photographer Angelina Venturella and acclaimed underwater photographer Chiara Salomoni who share the same passion for photography and preserving the ocean. 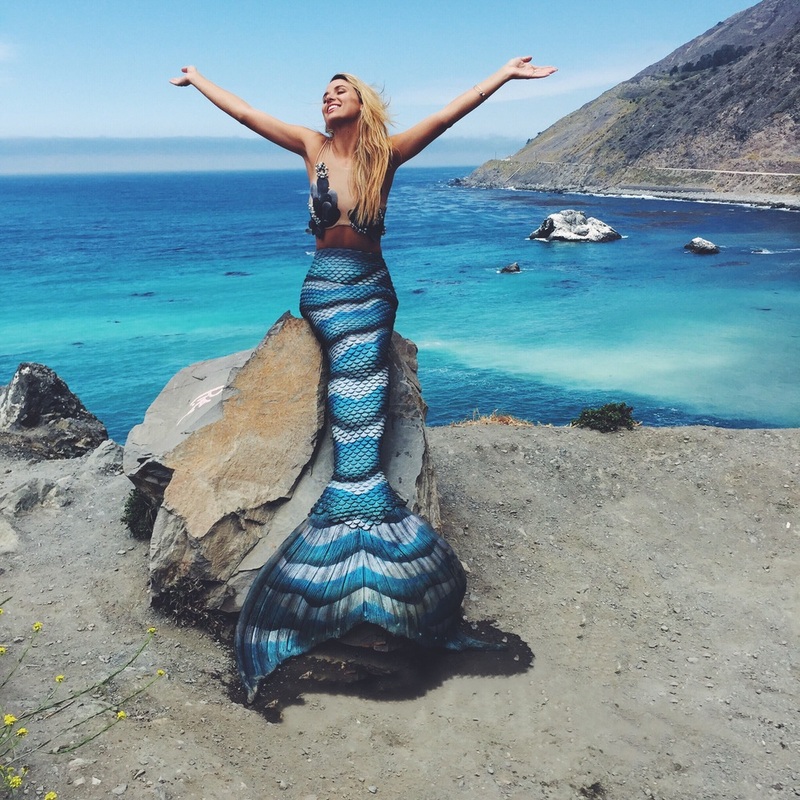 The goal of Project Mermaids is to bring awareness as to how precious the ocean and beaches are and to keep this beautiful environment healthy and clean. 50% of the proceeds are going to be addressed to the save our beach foundation. To help raise awareness, Project Mermaids is capturing celebrities in mermaid form working with The Mertailor Eric from Florida, which is making and donating the tails for our models. The Foundation has gone viral with over 158,000 followers on Instagram and has continuous growing awareness of their efforts. Project Mermaids has had recent press coverage in the Huffington Post, US Weekly, Just Jared, Cosmopolitan, Perez Hilton, and many more . The photographs will be shown September 25th, 2015 in an art show and in a table book for the world to see how much more there is beneath the surface of the seas, and how much more there is to work on. The world just needs to see it in order to understand it and take action."